When items are new releases, like these are, they will eventually be on a cycle. The cycle could be 6 months or could be one year it depends on when our Gm and Admin think the item box are ready to be sold again. They could also be sold at special times of years. Example: Near our anniversary in August or during the holiday season in Dec/Jan. I suspect that like the "Custom blood set" these items will be more for special occasions like the anniversary or the Winter Holidays. However, it never hurts to ask. When i think about it maybe for anniversary put all boxes for week or something? I have been having computer issue lately, so my item list for next month is late. I am not able to take all suggestions but I do appreciate them. I apologise for my snarkiness in some of my responses to your posts. The targetted date of next maintenance is June 5th (not confirmed yet) and I will not take anymore suggestions after this post. But I am leaving this patch note open in case anyone wants to report any bug or post suggestions which I could take up for July. 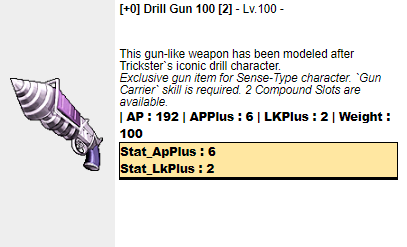 Found item in Weapons. Shouldn't this be in Guns? Forgive me if I'm wrong, I haven't tried it out. 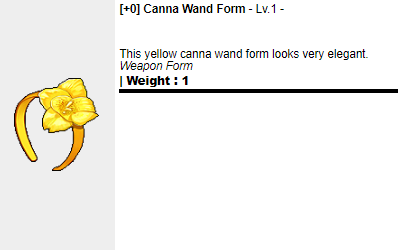 The description and item name+image is very misleading. Could you do a Boss Hunt Event ? I do not know if it was already 4 months ago that I play. Updating the Egg Shop would be a good idea. The server is currently down for June maintenance. It has started at 6:00 am PST and is est to last 3~5 hrs. We thank everyone for your patience during this time. We will announce when the server is open.